Forget the glass ceiling in the gender equality discussion. Today’s women have another invisible barrier to shatter: the glass screen of the information technology industry. Women in the US account for less than a quarter of all IT workers according to a Deloitte survey. This is on par with other countries worldwide, and has undergone a slow decline over two decades. Why are women an endangered species in a booming industry? 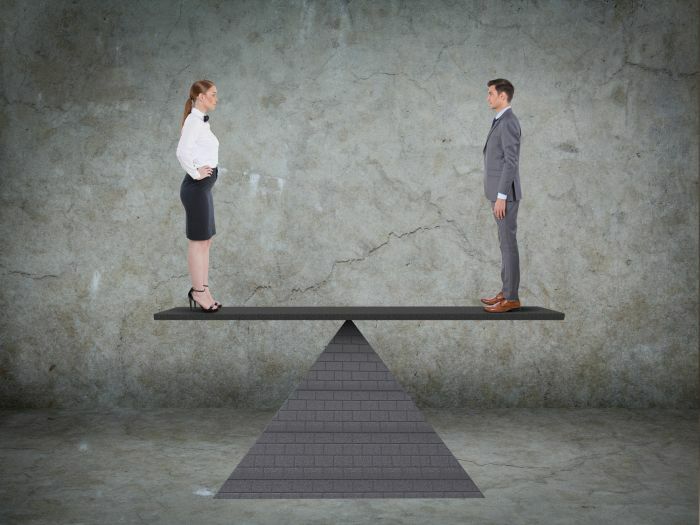 According to Maria Klawe, president of Harvey Mudd College in Claremont, Calif., women are tuned out of technical work before they can begin a career. “Two of the major factors contributing to this decline are the reduced numbers of females starting and graduating as computer science majors, and the large fraction of women who leave computing careers,” Klawe reports in the Journal of Computing Sciences in Colleges. Nationally, about 16 percent of undergraduate CS majors are women. However, at Harvey Mudd, that number is 55 percent—adjusted to 49 percent when joint majors are included. Experts credit the college in how it revamped teaching the subject: “Professors found ways to remove the so-called “macho effect” by which more-experienced students — usually male — intimidated others by answering all the questions,” writes Rosanna Xia, a higher-ed reporter at LA Times. Pre-collegiate efforts have been made to remedy an apparent lack of exposure to coding and programming courses for women. Former Pres. Obama, the father of two daughters, proposed the $4 billion Computer Science for All Initiative for 2017 that increases access to computer science programs across the board. Addressing gender equality and ethnic diversity in the tech industry is among its stated objectives. In the current workforce, 73 percent of computer programmers are men. That presents difficulty for women in the industry. A joint study by California Polytechnic and North Carolina State University examined open source software communities on GitHub, and the acceptance rates for developer contributions sorting by gender. Now is the time for the ladies to step up and carve their place in the IT job marketplace. Exploring tech-related careers, such as network engineer, programmer, business analyst, forensic investigator, and help desk support needs to happen at a young age to gain an understanding of the types of jobs available. Women should also take the initiative to learn how to code. A vast majority of IT jobs now require at least a rudimentary understanding of HTML and other web-focused languages. Most colleges and vocational training centers offer basic programming courses. An undergraduate degree isn’t required for every open opportunity, but it certainly helps, especially with top-paying jobs. Landing an entry-level tech position requires a little bit of forward-thinking and perhaps even a few unpaid hours of labor. There is plenty of room for self-taught junior programmers, especially in start-ups, which are often launched by 20-somethings with little professional experience themselves. Volunteering tech skills to a nonprofit organization is a great way to gain hands-on experience, find a mentor, and benefit a worthy cause. Another upside to charitable labor is the potential for networking with other women who share common interests. Consultant. Average salary $96,400. An IT consultant helps companies evaluate their technology capabilities and expand and refine when needed. Cloud architect. Average salary $112,000. As one of the highest paying jobs in computer sciences, architects are responsible for organizing all of that virtual information floating around on the cloud. Computer forensic investigator. Average salary $64,000. These women track down bad guys using breadcrumbs left behind by computer and internet activities. Health IT specialist. Average Salary $45,000. Medical coding, records storage, and other careers are in high-demand, and many don’t require a degree. App developer. Average salary $90,000. Mobile tech is in a position to overtake laptops and PCs in the near future. App developers make smartphones and tablets more convenient. Independent developers have unlimited earning potential. IT vendor manager. Average salary $88,000. An MBA or other business degree may be enough to land this high-paying gig, which requires the ability to oversee hardware and software vendors. Computer programmer. Average salary $79,500. For those who can sit and stare at multiple computer screens for hours on end, programmers are one of the most sought-after workers in the country. A final thought: All companies utilize information technology. That means there are unlimited ways to break into an industry and find a meaningful job. The key is to work strategically and take measures to stand out in a sea of muscles and moustaches. Author: Gloria Martinez runs WomenLed.org, which is dedicated to increase the number of women-led businesses by educating others about the topic. I’ve noticed that this article completely overlooks all the jobs in IT “Infrastructure” as well as all the entry-level Helpdesk jobs. Women are needed as server admins, endpoint engineers, and other areas which are more hands-on and tangible than the areas listed. As for “Health IT Specialist”, that’s just a glamorized name for medical clerk who helps others sometimes with using programs, thus the low salary; that’s not really an IT job. Women are leaving IT primarily because they are still treated as inferior by management, and because they either get all the best assignments or none of them, e.g. are not in a balanced part of the team. Hi Femgeek, the job titles listed in the article under “Top Salaries” are industry-wide numbers. Gender isn’t factored into listing in this part of the article. As to why women leave the profession, your comments align with the survey statistics–indeed, it’s a problem that needs addressing.